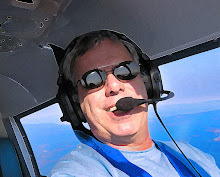 As Airplanista Magazine becomes more popular and we continue to produce new issues, we are finding a need to cultivate fresh relationships with exciting aviation writers. If you're a seasoned writer who is into aviation – or fascinated by flying machines and the people who fly them – and have been looking for a new place to showcase your writing, this might be a good opportunity for you to get your work in front of thousands of our readers each month. What we are looking for is a certain kind of writer, one who has developed a seasoned skill for eloquent story telling, a writer who can paint elegant pictures in the reader's mind with their words. This style of magazine writing that we desire is far different than blogging style, which everyone seems to use today. We want our articles to capture the interest of the reader with prose and wit, latching on to them with pinpoint verbiage and extravagant backstory. Your words need to take the reader on a colorful journey so powerful and electrifying that they cannot possibly stop reading until the last word has been delivered. If you want examples of the kind of writing we are seeking, pick up any copy of Time Magazine or Rolling Stone and read their cover story. Every word builds on the preceding word, every sentence is precise and moves the story forward. You never quite know where the author is going to take you, only that it will be a thought-provoking and fantastic trip. Are you this type of writer? Have you been looking for a new place to have your work published? And of course, do you have a serious passion for aviation or travel via the airlines? If you can answer yes, yes, and YES...click here to email the Airplanista Magazine Editor. We prefer you send fully-mature writing samples instead of links to blog posts etc. While we do not demand exclusivity, we do favor a story that shows up in Airplanista first. You retain copyrights, but an original story that has not been published anywhere will have a far better chance of publication than one that has already made the rounds on the Internet. This is not an opportunity to get rich, as Airplanista is still a very young but quite exciting new media publication. We do not currently have budget to compensate writers, but as paid advertisers come on board, our intent is to certainly pay for quality writing. At this time, we can discuss a trade for advertising space and of course links to your blog, site and social media pages. (1) A priority right now is to discover some female aviators or aviation businesswomen who can craft a powerful, informative and even technical story. Bring your brilliance, explain how your company uses business aviation to gain a competitive edge, and wow us with wit and acquired wisdom. We want your work to show the female point of view not because of your gender, but because most often, female writers see things differently then male writers. (2) CEOs and top management of large airframe or avionics makers please consider a submission. 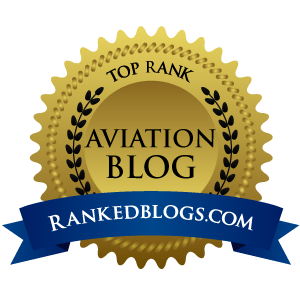 We are looking for your professional point of view on the state of the aviation nation, how bad 2008 was, trends, financial woes and triumphs, and what keeps you getting up each morning. Blow us away with an insider look at how the stuff we use gets made. (3) Men and women in Airport Management, I'll bet you have a story to tell? Each major airport is itself a small city, with logistics issues that will blow our readers' minds. Take us behind the curtain and tell us how you keep your major airport running smoothly. (4) Are you a major-league air show performer (Patty Wagstaff...are you out there?) who spends a great deal of time on the circuit entertaining us? Let our readers go with you inside your Extra or Zlin to get thrown against the harness - we want to know what pushing G's is really like. You are a physical speciman, how do you get in that shape...we want to know. (5) A biplane restoration artist who can take a scrap of fuselage with a tiny shred of data plate still clinging to it and recreate a new, beautiful airplane that is as much a work of art as it is a flying machine brought back to life. You are one of the guys like Addison Pemberton or Bob Lock, craftsmen of the highest order. Those are just a few ideas, but there are many more out there. Maybe you're none of these things, but you ARE a gifted writer who respects the marriage of creative writing to old school journalism. If we can see that gift come shining through in your writing samples, then you should pitch me your ideas and you should be writing for Airplanista Magazine. Our slogan is "Sometimes serious. Sometimes humorous. Always unpredictable." Take any part of that and let your creative mind run wild. There are millions of aviation stories out there waiting to be told...and a few good writers to tell those tales. If you know how to write, know your way around the Stylebook, and can weld words together in a glorious progression that leads to a fantastic, entertaining conclusion, please email me here and we'll see what develops.